The luxurious version of the italian water taxi. 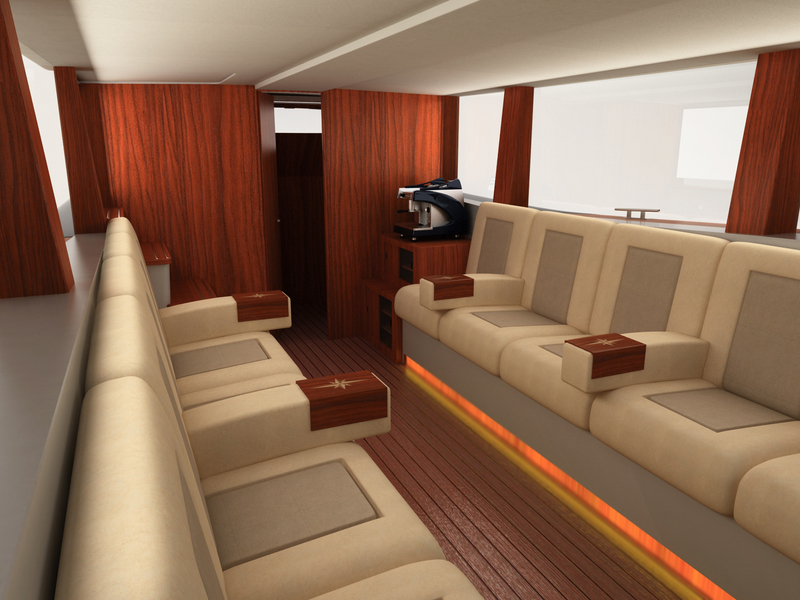 The design is developed by the English company Harman Piket Naval Architects. The eyecatcher in the interior is the handcrafted expressomachine delivered by SI Coffee Solutions.